I don’t really having anything meaningful to say about this quilt, other than the process of making it. It was a fun and quick quilt to assemble and it’s size meant it turned around really quickly. I bought two identical feedsacks at an antique mall in Pennsylvania, way back when Aubrey and I first started dating. Originally for a high protein chicken feed from a company out of Massachusetts, I was drawn to the type faces and the colors. 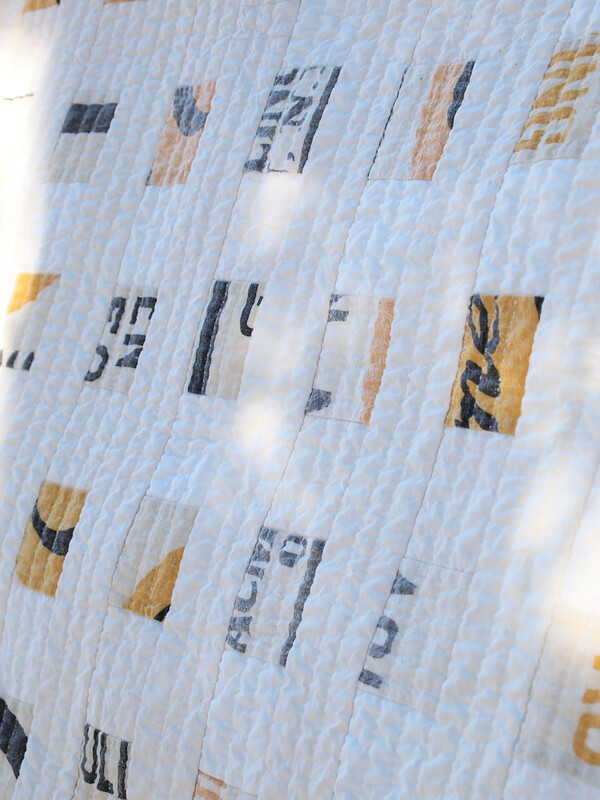 I was thinking about postage stamp quilts, about neat, organized rows when I planned it. I was thinking about mid-century typography and graphic design, modernism and, as always, minimalism. That said, I do have something to say about Completely Cauchy’s navel gazing at small community. I am largely at the peripheral of the Modern Quilting movement. I don’t have a huge network inside of the small community that does exist and the network I do have is entirely based off of Instagram. This is largely because I live in a rural place and partly because I like community when I can engage with text. I’ve been musing over the conversation around being accepted to or rejected from the show at Quiltcon 2015. One of things that has frustrated me in finding quilting community was a fundamental lack of constructive criticism. I think a lot of the hurt and backlash from being rejected from QuiltCon was because there wasn’t any feedback given. If the work you are making is largely self-propelled and some what insular, it is hard to receive feedback. If the only feedback you’ve received has been overwhelmingly positive and then you are rejected from something that is propelled by the community you are part of, it feels really personal. I think being able to make a space to talk about work and give constructive criticism would be really great way for individuals and the movement alike to grow. Teaching one another both to see the successes and short-comings of the work we are making was fundamental in my growth as a maker. Social media has made connection much easier, which is awesome. It’s awesome being part of something where everyone is each other’s cheerleaders, where we are collectively inspired by each other’s work. I believe it is part of the reason that I picked quilting back up; I wanted to make and be surrounded by people who make for the sake of making. The community around quilting, both now and historically, has largely been an organic thing. It feels the opposite of my experience in the fine art world. One of the first things I learned in school was that I was part of a tradition. In order to move beyond what had already been done, it was imperative to learn the history of the medium and to refine craft. After returning to it from a decade of hiatus, I approached quilting in the same way that I was taught to approach photography. The first book I read was Quilts in America. I come from a family of women who sew and quilt and grew up and lived in an area who’s quilting history has been extensively researched. My main inspiration is the Amish quilts of Lancaster county. I approach quilting with the idea of using stuff that has outgrown it’s use as one object but can be remade into something new and useful again. I don’t think the modern quilting movement is a-historical, like Joe the Quilter says. I have seen far too many clever takes on traditional work for me to believe that most modern quilters don’t know their history. A lot of modern quilters are working from another place of reference; from fine art, modern graphic and industrial design. Even if one isn’t away of it, we live in a postmodern world where things are appropriated and mixed up and re-appropriated. I see parallels between the criticism of modern quilts and studio quilts, when they exploded in the 90’s. When one group of makers tells another group of makers what they’re doing isn’t quite right, it does NOT foster community between the new and the old. It drives a wedge between them. I have reverence and respect for the hundreds of thousands of quilters that have left behind incredible work. I think inviting mixing between traditional quilters and modern quilters, to let the lines blur, has the potential to pass knowledge around in a circle, rather than in a line. Similarly to what has happened with quilting through out history, modern quilting will be another movement and another means of making quilts. I think it’s harder now to have that perspective because it feels we are living in the future. The western world lives at and in the forefront of technology in a way that has never happened before. 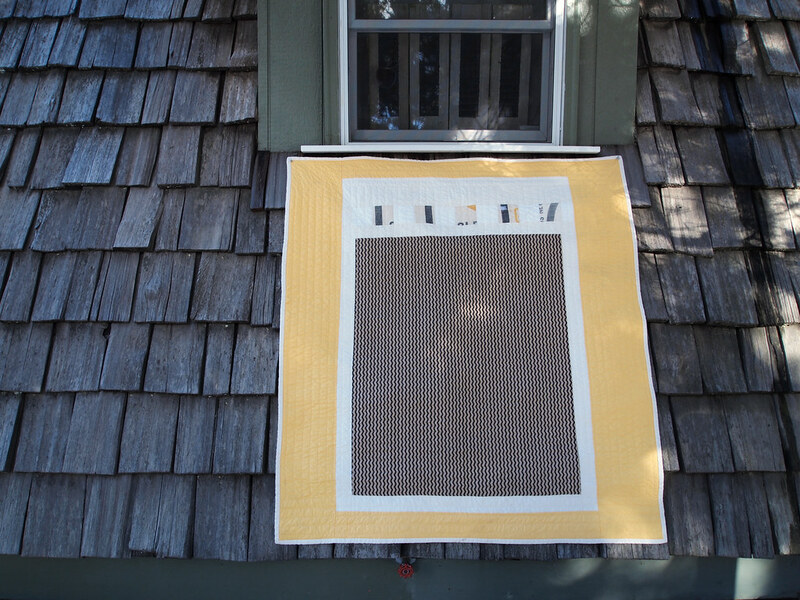 Quilters are making their own archive with every single blog, instagram, reddit, facebook and twitter post. Quilting in the 21st century may look very different then it did in the 18th, 19th and 20th century but it is still the same at the core. The purpose is to make, to create, to construct something with one’s own hands. 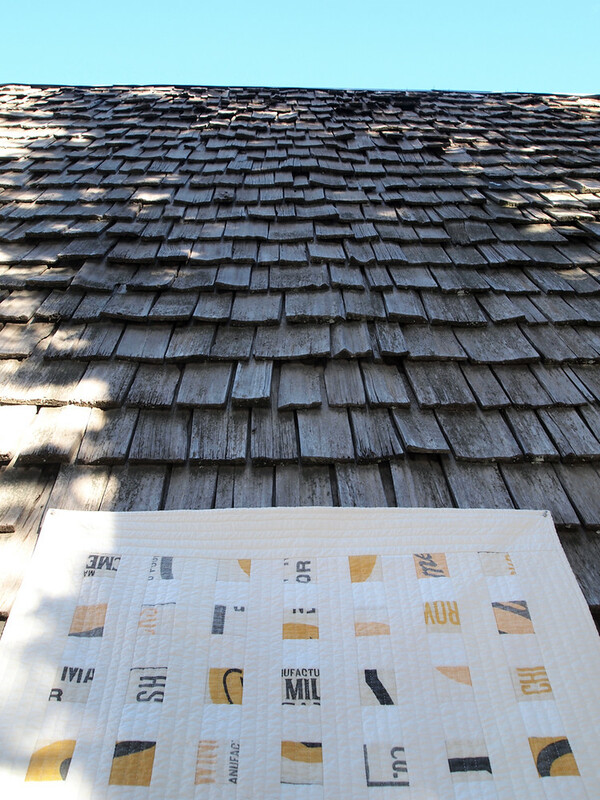 Regardless of intention or aesthetics, to quilt is act of self-expression. I am so happy to be part of your “circle”. 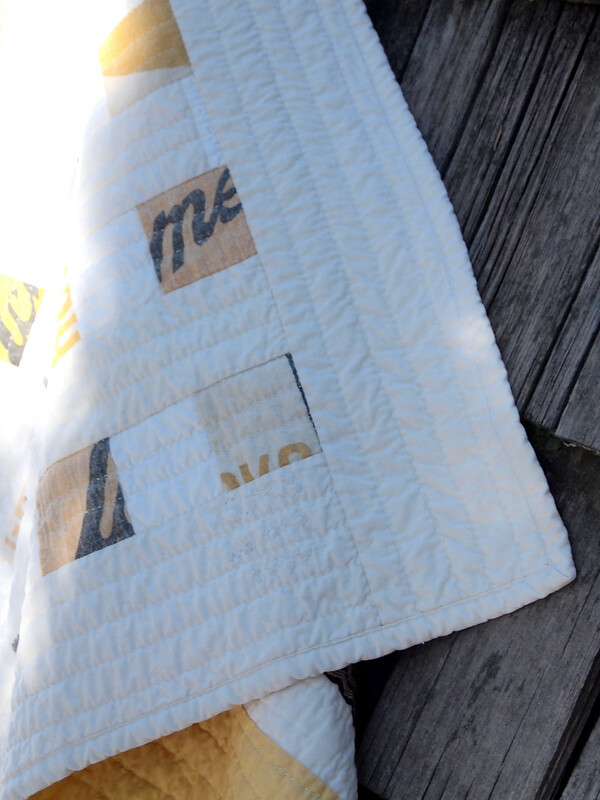 I love this quilt and the history and minimalist aesthetic of it. Gorgeous work. Hope to meet you and your quilts some day in person. Oh, Hillary! I am happy to be a part of yours. 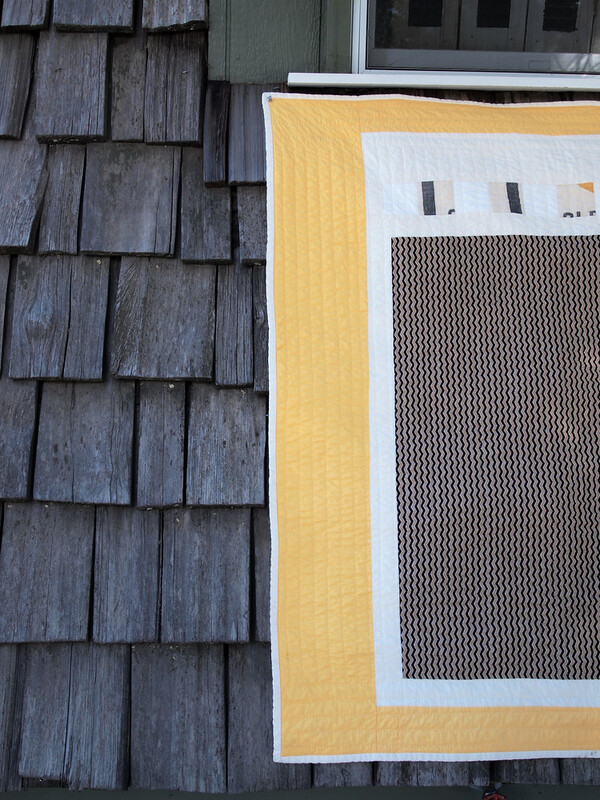 Your quilts were some of the first work I was drawn to when I was looking at work online. I hope to meet you some day too! I won’t be making to QuiltCon this year but I’ve plans to go to 2016 or 2017.